Along with my 1983 VW GTI, this Chevelle will go down in history as one of the most involving experiences in my automotive/mechanical life. It is hard to capture the near endless and evolving details that encompassed the 5 years of building and racing this car, in all of its various forms. I invested a lot of money, but most importantly, thousands of hours of my time over this period, and it is really too bad that I sold this car off in 2001 (I was burned out and sick and tired of racing). 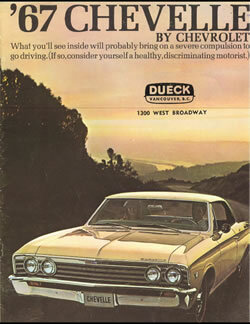 Here is the story, as best I can tell it, of my 1967 Chevelle SS396 . . .
Perhaps my American muscle car experiences with my Ford Mustang just weren't enough to fully satisfy my lust for good ole' fashioned drag racing power and 60s nostalgia. Perhaps I was actually trying to purchase a clean numbers-matching collectible car. In any case, shortly after I found this car on Vancouver Island in the summer of 1996, I had it almost completely apart (after it had won 'best of show') looking for ways to 'improve it' while keeping it essentially stock. My mechanic told me after the engine tear down that it wasn't a '396' big block from 1967 after all, but rather a slightly later model '402' engine from 1970 that had been installed. 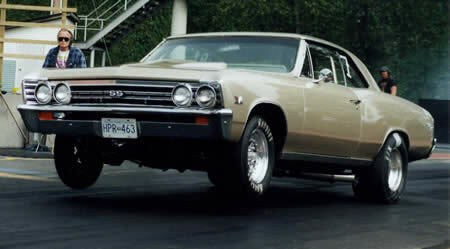 This wasn't an original big-block powered car - but rather a Canadian (Oshawa built) 6 cylinder Chevelle that had been converted. What to do with a clean unmolested car that was not really collectible after all? I decided that it needed to be stripped down to bare sheet metal, prepped thoroughly to match the original SS396 body moldings, apply a fabulous new paint job, install a fresh interior and a full mechanical update with a modern suspension, big disk brakes, new 502cid big block engine, transmission and rear-end - and the goal was an honest, street legal, BC 'air care' smog approved 650hp out of a warmed over Chevy 502cid crate motor with an additional 300hp on call via a nitrous port injection system, running thru a TH400 3 speed trans into a beefy Dana 60 rear-end with ladder bars. By 1999 we were ready to roll with a mint condition road capable car (painted no less by Mercedes Benz in Vancouver - with more than $30,000 in paint and prep work involved) that ran an honest 10.5s @ 128mph 1/4 mile time 'on the motor' its very first time out at the race track. And, yes, it passed the local 'air care' smog test in this 'mild' state of tune as well. Within a few weeks, and the use of some nitrous we were running in the 9s. 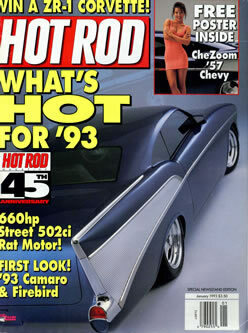 To put my Chevelle's initial track performance in perspective, you need to check out what other super cars are capable of in this article: Road & Track - 1320 Shootout - June 2000. Current exotics run 0-60mph in under 4s and can cover the 1/4 mile in the mid 11s range - which means that my Chevelle, in its mildest form, without using any nitrous, literally could destroy all comers on the street with a 0-60mph time of around 2.5s. 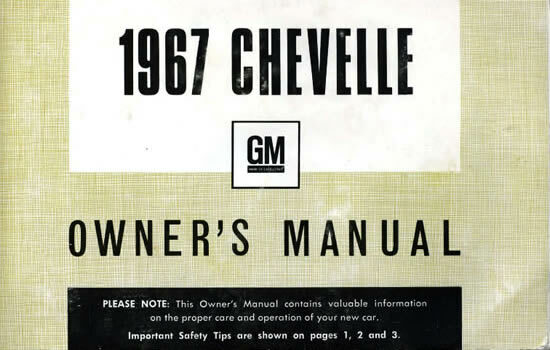 In its later forms, the Chevelle would run 0-60mph in under 2s. With stellar results like these, I was motivated to see if I could push the car into the 8s with bigger cylinder heads, a bigger cam, and a matching intake and carb (pushing the motor to around 770hp on its own), and a 500hp 2 stage nitrous system, for a total of 1270hp. Well, we certainly ran a lot faster at the track later that summer, posting our best time slip of 9.12s @ 150.7mph, but it was a real handful to drive, required a parachute to stop safely from those speeds, and in the end it broke the rear suspension ladder bars. We decided to step it up a lot more in 2000 with a completely new race-only 548cid motor putting out 860hp 'on the motor', a new 600hp progressive controlled nitrous system, a full-race 2-speed powerglide transmission, 4-link rear-end, bigger tubs and slicks, and a new roll cage as well. Funny thing was, after all of this investment of time and money, the car was not that much faster (9.06s @ 157mph). A lot of the blame was due to our switch to the 2 speed transmission with a loser 8" converter, as opposed to our prior 3 speed trans and 10" converter, and the difficulty putting all of the additional power to the track (we produced a lot more power, likely over 1400hp, but it was nearly useless). It turned out that the prior setup was the ideal balance between street use and strip performance. A lesson learned. I started to return the Chevelle back to being a true street car with a smaller cam shaft, the addition of an electronic fuel injection system and a 3 speed trans and 10" converter, with the intent of making it much more drivable and limiting the total power to around 1100hp, but with my heavy investment into the S-10 truck drag racing program in 2001 and mounting technology company business pressures back at the office, I ultimately threw the towel in at the end of season and sold off my entire racing program and walked away from it all. My original specs and target performance for this car was to run 9.9s in the 1/4 mile 'on the motor' and 8.9s with nitrous, and my software simulator calculations said that in an ideal world I would need 600hp 'on the motor' alone, and another 300hp from nitrous to achieve those goals. I was also hoping to keep the brakes and suspension components setup mostly for street use, not racing use (as in a mushy, soft suspension and tiny useless brakes). I picked out the GM 502cid crate motor 'short block' for its simplicity, cost effectiveness, and compatibility with all of the historical Chevy BB parts, namely the cylinder heads and intake manifolds I would need. I chose to change the connecting rods and pistons as the stock GM parts were not up to the task of the additional nitrous use (and I also wanted to have 10.5:1 compression ratio, not 9.5). For the heads, intake, cam and carb selection, I chose to go with the smallest units, with the best drivability possible, that would still 'make the numbers'. I guessed right with my engine design, and the first engine, as listed below here, made the 600/900hp specs - it was a beautiful engine with a nice easy idle, huge torque, and a 5800rpm power peak. But a trip to the track showed that traction issues with the Chevelle meant that I needed about 750hp to run 9.9s 'on the motor' and more like 1200+hp to run 8.9s (blame this mostly on the skinny 10.5" tires and lack of traction). I have re-printed my whole diary of what we did and learned along the way at the end of this web page that lists all of the details, many of which are fascinating to read. With this engine re-build I was attempting to correct for many of the small mistakes we made building the first engine, namely the use of the wrong timing chain, valve-spring seats, and oiling system components that meant that the 1st engine was full of metal after a short period of time. I also wanted to find a way to make as much additional power as possible without violating the concept of streetable manners. This engine kept the same 'bottom end', heads, and intake, with just a change to a slightly larger cam and carb, and a lot of porting and polishing of the heads and intake. After again falling short in our goals at the track to run 9.9/8.9s, I got serious and threw out the idea of a streetable car, and instead designed and built another engine with mostly new components that made real power and could be driven on the street with some inconvenience. This meant a set of big race ready CNC'd heads, intake, and cam, and a lot of other really nice 'pro' components that made the car more reliable as well as easier to work on and setup. This engine basically did meet our requirements and the only reason why we built another 4th engine for the 2000 racing season was that I was really worried (rightly so) that the stock GM crank and Mallory rods were going to fail with the huge power that this motor was now making (way above the levels those critical components were designed for). As noted above for the 3rd engine re-build, the idea behind this 4th engine was reliability and more power. 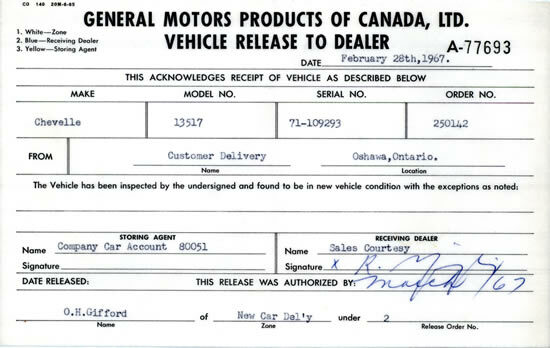 We actually failed to achieve more reliability because the GM Mark VI block and Edelbrock heads could not keep a positive seal under the huge nitrous loads. We tried to solve the problem by o-ringing the heads, and by adding additional head studs, but after 2-3 passes we still blew out the head gaskets. The problem was in the basic design of the block and the heads - we needed a stiffer race block and thicker/stronger heads as well.